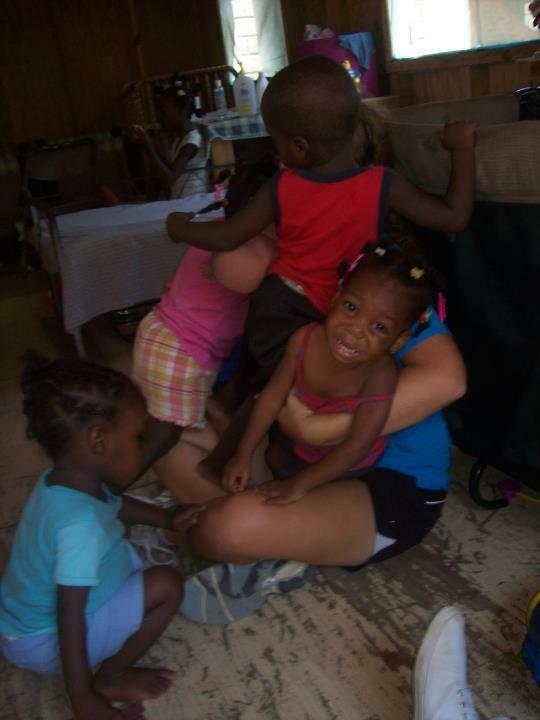 Christian Missionary Katie Hooks Manning stops to comfort a very young friend in New Orleans. In the wake of Hurricane Katrina in 2005, Americans from all walks of life opened their hearts and their wallets to help millions in need. Thousands more volunteered their time and labor by traveling to shattered towns such as Davie, Florida; Mobile, Alabama; Pascagoula, Mississippi, and New Orleans. Katie Hooks and Mark Manning took separate paths to New Orleans, but in time, their love for that city and their desire to help others morphed into another kind of love – a love which some would say was truly made in heaven. But Mark would return to work in New Orleans after he finished college. And he also went to Galveston, Texas to help in that city’s recovery effort. Eight trips in all. Katie Hooks was born and brought up in North Carolina – the youngest of four. Raised in a Southern Baptist church, Katie said she came to know the Lord at a pretty young age. 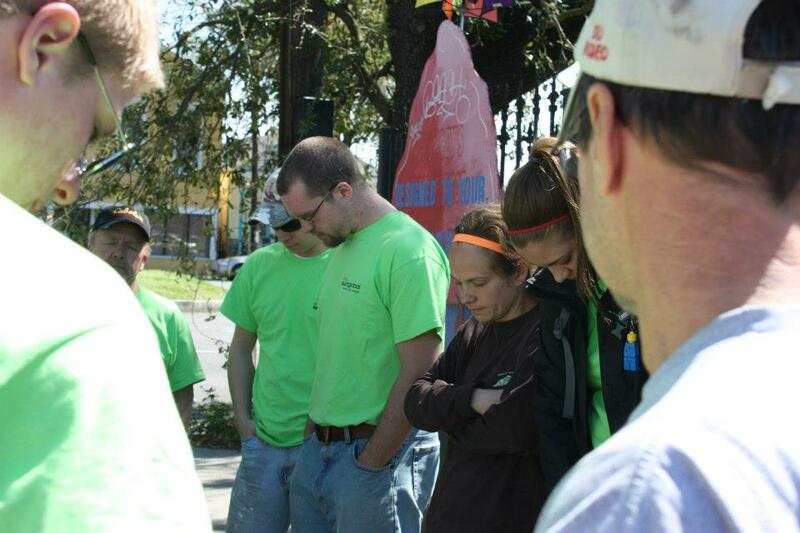 Pausing for prayer with a group of volunteers. 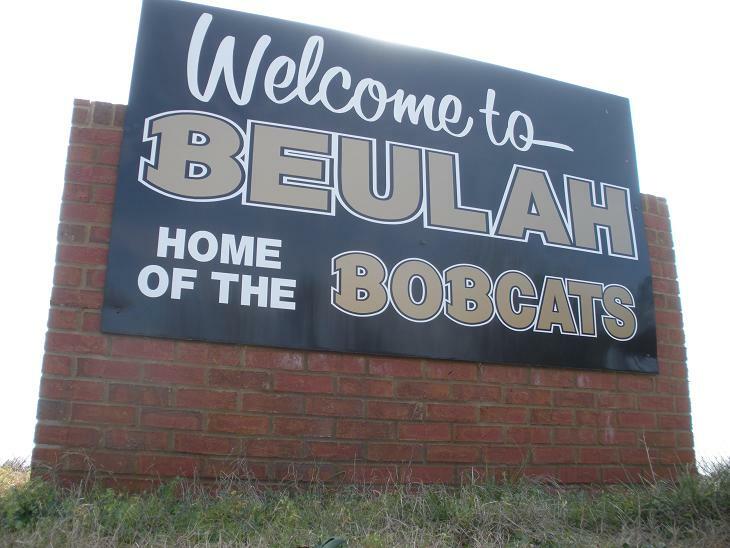 Katie’s job with ReachGlobal consisted primarily of coordinating volunteer teams, such as the ones headed up by Baltimorean Mark Wigley of New Life Automotive. Mark Manning also felt a void in his life. After his first summer in New Orleans, he returned to Indiana and a job delivering furniture. 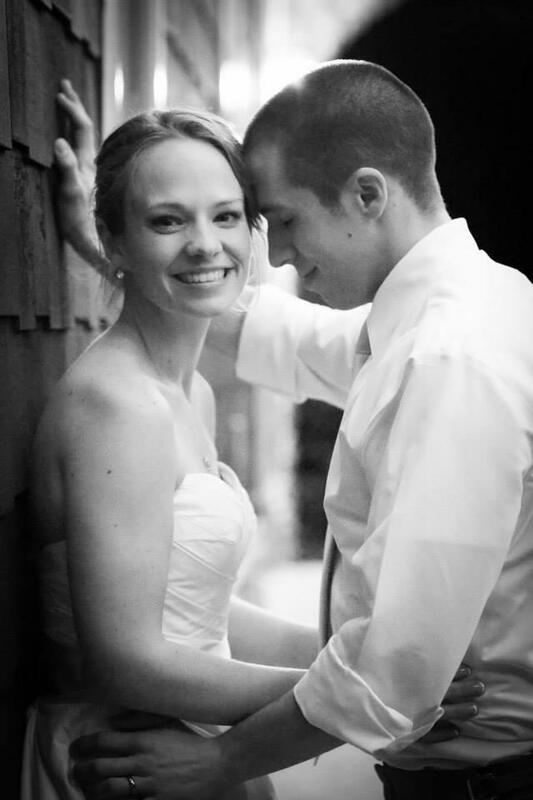 The couple were married on February 1, 2014. Last summer they went through a series of interviews with ReachGlobal, and in October, they were accepted as full time missionaries. Mark believes that working with people in need is the best way to show the Love of Christ. One of his favorite Bible stories is in Acts 16 where Paul and Silas are wrongly thrown into jail. Paul’s journeys also serve as an example to Mark of the importance of working as a team. Katie also recognizes the effect of teamwork, citing Paul’s work in preparing Timothy for the ministry, and referencing Ecclesiastes 4:9-12. “Two are better than one at increasing the fruits of the labor,” she rightly notes. And the part in that passage about a “cord of three strands”? Mark and Katie on a roof in New Orleans. How much time will depend on the support the young couple receives. Unlike some missionaries or aid workers who are funded by a church or an organization, Katie and Mark must secure their own continued support. Katie then offered a tangible example of the Lord’s provision. The experience may have tempered Katie’s driving, but in no way has it slowed her down. 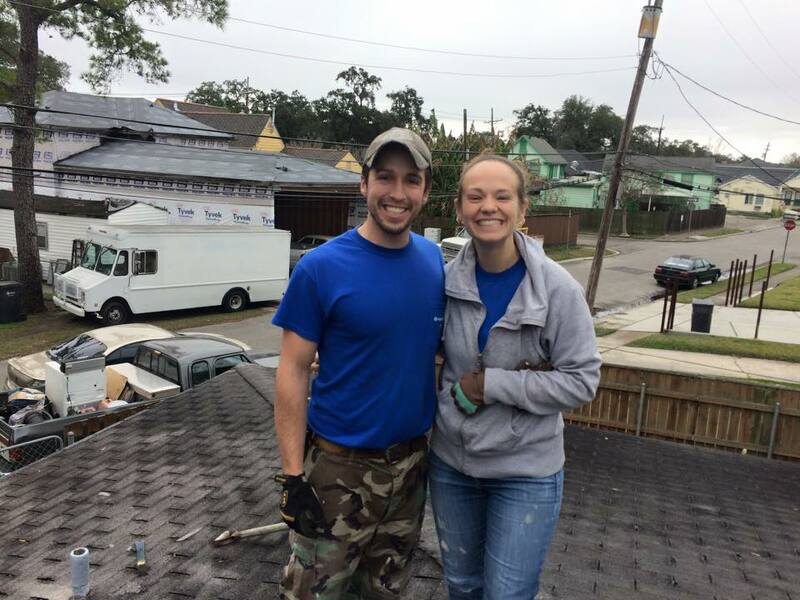 When she and Mark return to New Orleans this winter, he will pick up with a construction project while Katie resumes reaching volunteers through an intern program. Editor’s note: This is the eighth part of an ongoing series which will look at the places and people that make up the rich history and diverse nature of spirituality, belief and observance in Baltimore and beyond. Read the series here. Excellent article Tony! Katie and Mark are an inspiring couple making a differance in peoples lives in the wake of the worst natural disaster to hit our country. Very inspiring. This is a couple whose love will endure and grow in their outreach to those in need. Thanks for writing this, Tony Hayes.